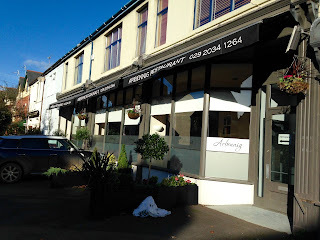 Next month the restaurant Arbenning in Pontcanna opens Arbennig Emporium right next door to it in the site of the now defunct Fat Pig Deli. Speaking to John and Ceri Cook who run Arbennig about what the plan is for the new venture they say, " the aim is to create a relaxed and friendly environment customers can enjoy a light bite with friends or simply some coffee and a slice of freshly baked cake". Also on offer will be a selection of seasonal soups and freshly baked focaccia sandwiches with a variety of fillings and styles. 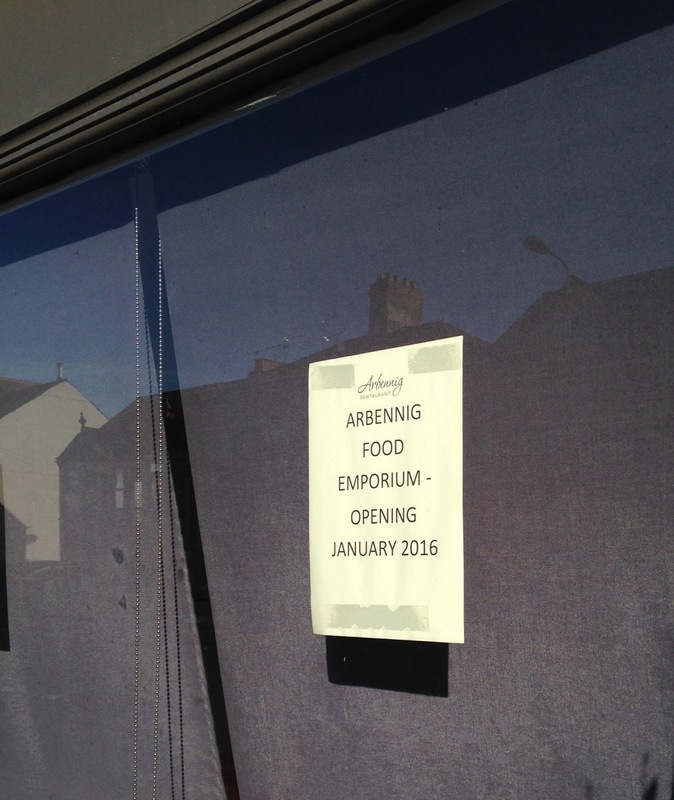 John who is the head chef at Arbennig says "the ethos of the emporium will match that of the restaurant. Sourcing quality ingredients and whenever possible ensuring they are local". 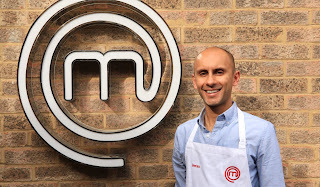 Arbennig Emporium also aims to be the first port of call for foodies looking for specialist cooking ingredients, so people can recreate the restaurant experience in their own kitchens. That's not all, they plan to serve breakfast, provide a take away service of gourmet meals and if you are too lazy to leave the house then a delivery service will also be on offer through Deliveroo. I for one am really looking forward to seeing what exactly will be on offer and think it will be an excellent addition to the area and Cardiff's independent food scene. I also plan to be the first in the queue when they open! As the weather turns ever more gloomy and temperatures drop Mrs Clonc and I decide to escape for a little afternoon away. 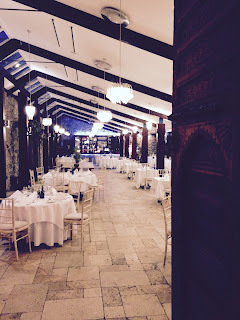 As we happened to be in west Wales The Corran Resort ans Spa seemed the ideal place to do just that. Afternoon Tea has certainly seen a growth in it's popularity over the last several years and as such there are a lot of places that offer it. All with varying degrees of success. It's fair to say that the popularity of afternoon tea has grown together with the nations interest in all things baking (Great British Bake Off the main instigator) so have peoples expectations. I must admit I do love the pomp and ceremony around the whole occasion of afternoon tea not to mention how very twee it actually is. The afternoon tea at The Corran was presented as you would expect on a tiered stand. I must say the overall presentation was excellent and very impressive. That touch of theatre is exactly what you want when you go for afternoon tea . It comprised of finger sandwiches at the bottom, a cavalcade of patisserie and sweet things on the middle level and two shot glasses of dark chocolate mousse on the top level. 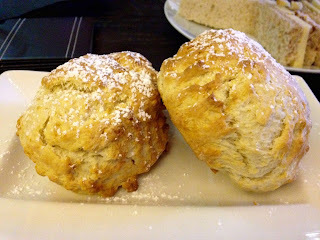 This was accompanied by a side of two freshly made scones! We were offered a pot of our choice of tea. The tea source in tea bag form (Twinings) rather than loose leaf. I'm not entirely sure of the etiquette about how you approach afternoon tea but then again I don't really care and you don't have to be Sherlock to know what we went for first. Yep, the warm scones. The warm scones of the plain variety were excellent, really well made and tasted delicious. More importantly they provided an excellent medium to hold the vast volumes of clotted cream and jam. In the interest of fairness I alternated what went on first, jam or cream and surprise surprise it tastes fantastic either way. 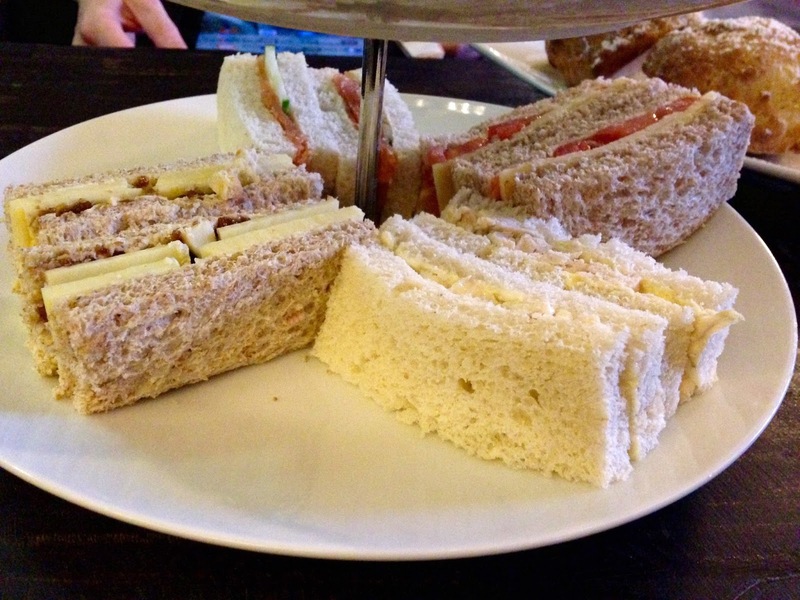 As mentioned the savoury element to this dish were the sandwiches. These are normally fewer in number but accompanied by a mini pork pie each. As I do not eat pork we had more sandwiches in lieu. The sandwiches comprised of a salmon and cucumber, cheese and pickle, cheese and tomato and chicken and mayo. Nothing to report here really apart from they were as you would expect, neatly prepared with no crusts but nothing to write home about. They did provide a welcome break in between the sweet elements. 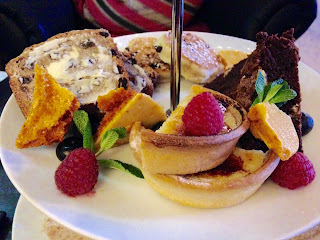 The sweet elements in question took up the next two tiers and comprised of tarte aux citron, chocolate brownie, bara brith, welsh cakes, honeycomb and two shot glasses of dark chocolate mousse. The most outstanding element by far was the superb tarte aux citron. Thin, crisp pastry with the most well balanced filling. Sharp with lemon but not so much your salivary glands spasm and sweet but not overly so. Perfect. The brownie flecked with white chocolate morsels was rich with dark chocolate, dense in consistency and a first for me to find on an afternoon tea. The duds I'm afraid were the bara brith which was like cardboard and no amount of butter slathered on top would have made it any better. The welsh cakes were unremarkable. A shame that the two Welsh elements were not better. The honeycomb was a lovely flourish, well made and tested the retention of a few fillings. Lastly the two shot glasses filled with a dark chocolate mousse and topped with a fruit compote sealed the deal. Deeply rich but light mousse, cut through with the fruit and a single raspberry a the bottom of the glass like hidden treasure. Superb and a great way to finish. The service was attentive and friendly and our tea pots were refreshed and refilled at least twice at no extra charge. 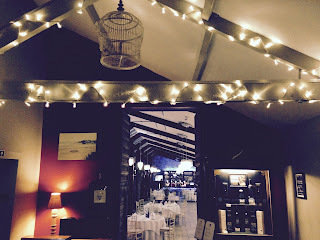 We had our afternoon tea in the bar area which is scattered with comfy seating and low tables, you can also have it in their beautiful dining room. 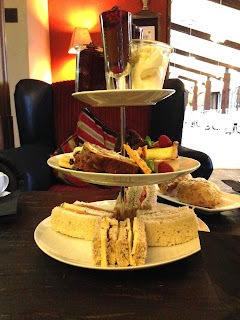 In total the afternoon tea came to £12.50 each which is in my opinion excellent value for money. 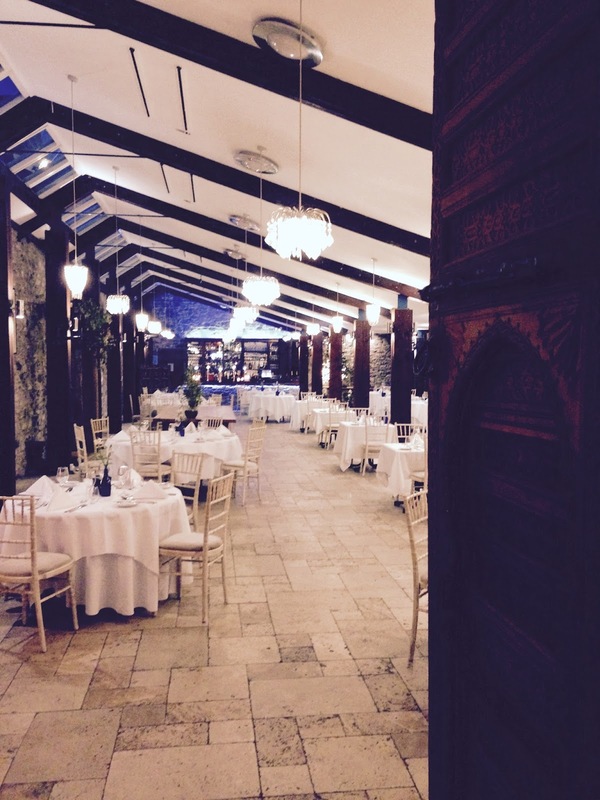 We very much enjoyed our visit to The Corran, the cosy and relaxed atmosphere suited us perfectly. 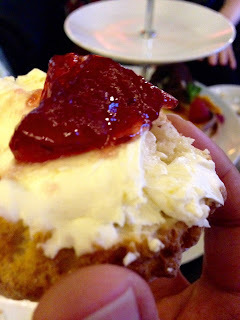 The afternoon tea on the whole was presented well with a few outstanding gems. I dare say a gift voucher of afternoon tea at The Corran would make a lovely Christmas present.